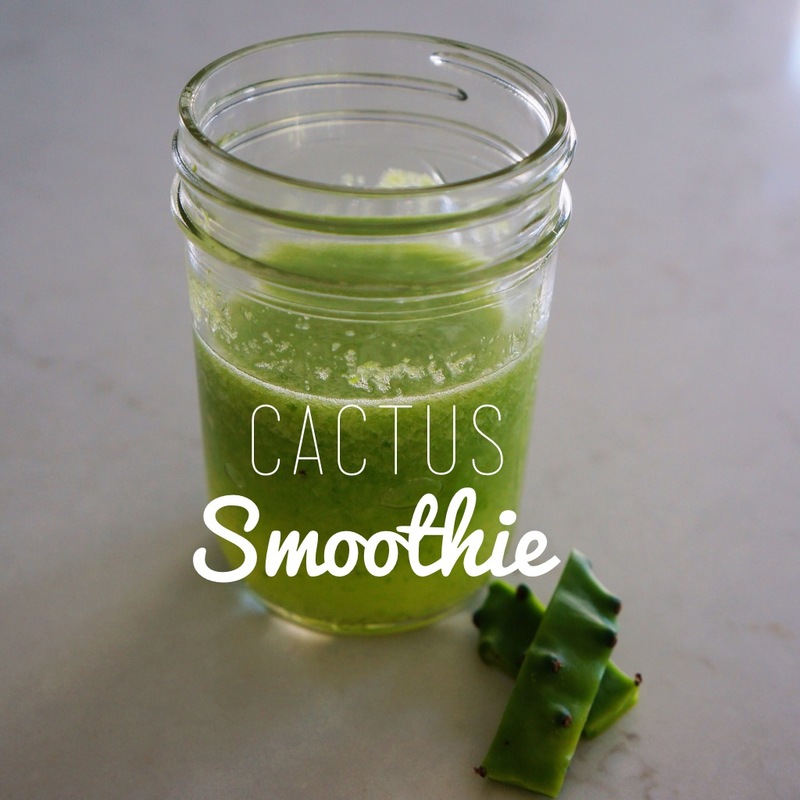 My son Jaden and my friend Sanetra whipped up this super easy to make cactus smoothie in my kitchen the other day. The idea came from Jaden when he told me that the lady who owns the Jamaican food truck here in Austin (the one he also works for some Saturdays) told him to drink cactus juice to fight off the teenage acne he has popping up. So we headed to our local Spanish market to buy the Nopal Cactus (you can also find it at many of the Asian markets). 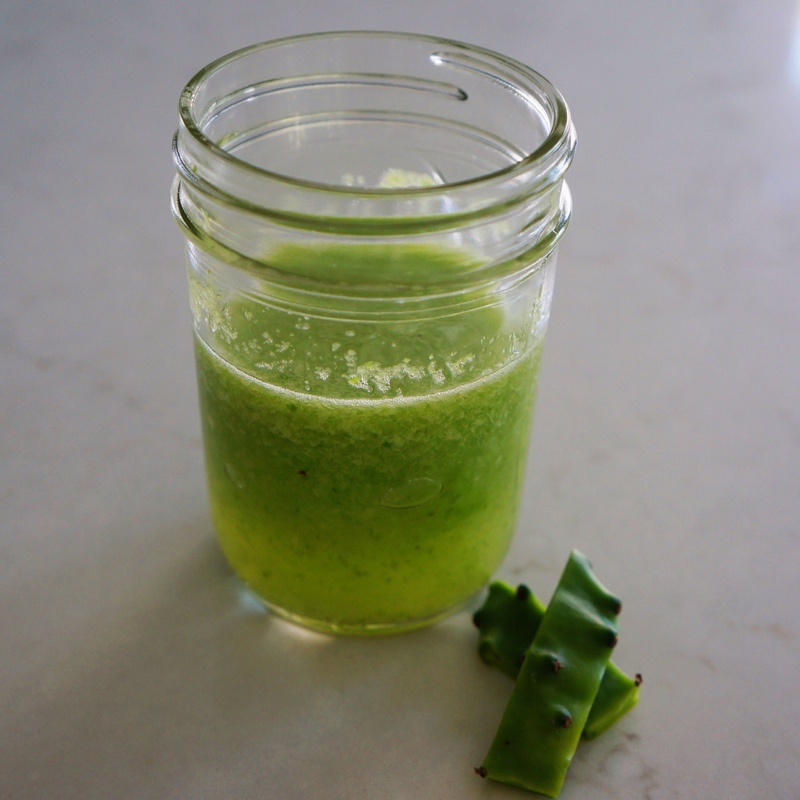 Drink this cactus smoothie in the morning before you eat. It’s rich in fiber, helps speed up your metabolism, eliminates grease and toxins, it’s rich in calcium, amino acids, and antioxidants like vitamins A, C, and B. It cleanses the liver and colon, stabilizes blood sugar, lowers cholesterol, soothes the stomach, provides a rich source of fiber and hydration. 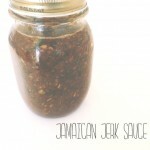 Its great for warding off hunger which can prevent overeating, and it’s great for hangovers. 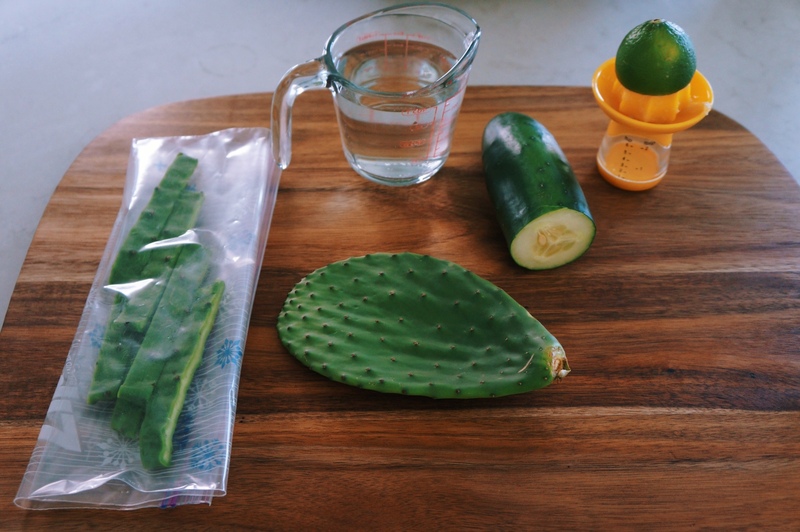 Store extra julienned nopal cactus in freezer bags and store in the freezer for future smoothies. You’ll only be using enough for 1/2 a cup. 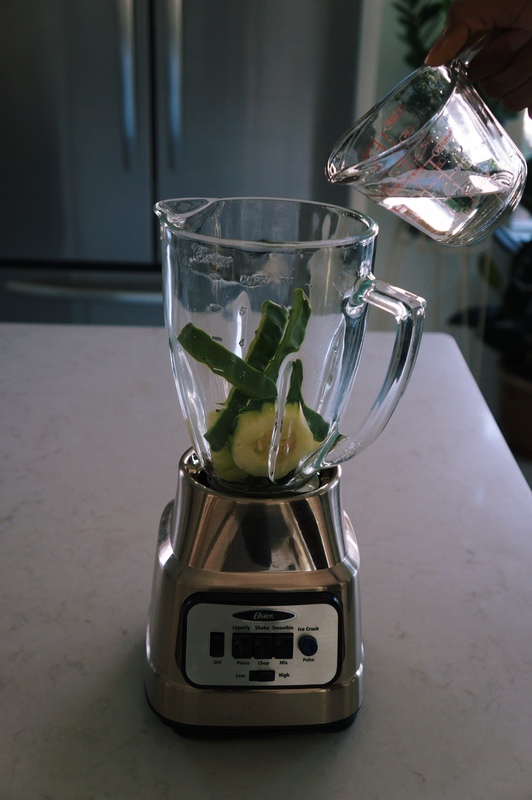 Place all the ingredients in a blender and blend. 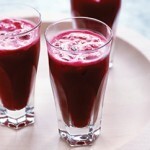 If you want it to be less chunky then blend longer and or add more water. The nopal cactus is a plant native to the mountains of Mexico. 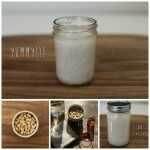 It has been used since ancient times as both a food and for its medicinal and health benefits. Sanetra and Jaden taking down the smoothies! It tastes green, like a mild salad with the cucumber being the main flavor. And Jaden loves working at the food truck! Shoot…I’ve been trying to get him to find out some of the woman’s delicious recipes because her food tastes freakin’ amazing!!! Well, if you get any of those recipes, please share. 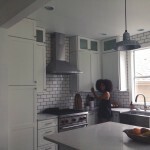 I would love to see what it is she makes. That sounds great @Shak75:disqus!!! 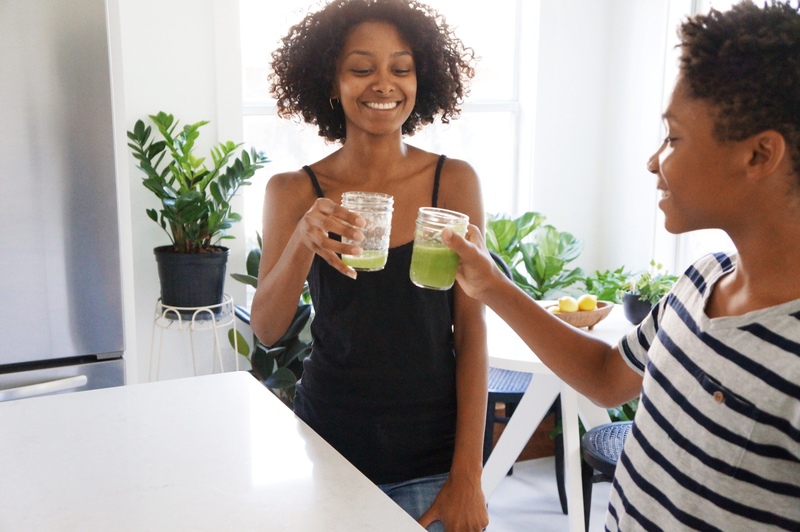 I always get excited when I hear parents putting their kids on to healthy foods! Nice information. You should look up the amount of the nutrients that is lost during the juicing process from the heat that is generated from the blades as well as oxidation. Cold press is best. This is interesting!! Thanks for sharing :). If you want all the benefits in full effect I recommend drinking it every morning before you eat anything @tiffg1984:disqus :). Thank you so much for your kind words and your blessings @disqus_e7k5FwuCeb:disqus :).